Like most winter resorts, Breck ramps up rather than winds down during this climactic month before the slopes close in late April. BRECKENRIDGE — I slid into the outdoor hot tub at the newest hotel in Breckenridge, the Marriott Residence Inn, built on the site of the legendary Breckenridge Mountain Lodge, on a hill just a few blocks from the lift at Peak 9. It was also walking distance from downtown Breck where, surely, parties and concerts were starting to liven up the town. To draw spring breakers, some hotels are offering seasonal deals (see below), and the town and mountain have a full calendar of contests, live concerts and other events (including a chili cook-off) lined up over the next few weeks. But first, hot tub research. The Residence Inn is a 129-room suites-only property that opened this past season after years of renovation and waiting. It was a perfect central base for bopping around town, but after skiing all day, I didn’t feel like going anywhere. Almost as nice as fresh tracks, I thought, lowering into the alfresco Jacuzzi and savoring the heat and the steam. The jagged Tenmile range rose in the distance, behind my fellow soakers. I found a few jets for ski-strained calves, kicked back and thought, yeah, I might not make it very far this evening. Several new restaurants came to Breckenridge this past year, including Piante Pizzeria, a family-run vegan pizza joint; Pho Real, a fast-casual Vietnamese place; and, out on Airport Road, the Breckenridge Distillery Restaurant. Usually, I’d be exploring and sampling. But sometimes, spring skiing is all about staying in and relaxing. So I ordered takeout from Giampietro Pizzeria, a longtime favorite that tripled their size this past season and expanded both their menu and bar. They were packed when I went in to pick up my food and I’m sure that, like the rest of Breckenridge, they’ll stay busy these next few weeks. 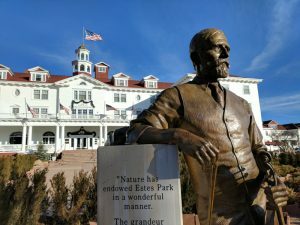 There are a number of big celebrations coming up, including the first-ever Breck Pride event March 22–26. In addition to the usual assortment of live music and daily aprés parties, this week will feature a comedy night with Sandra Bernhard and a costumed “Color Run” down the mountain. 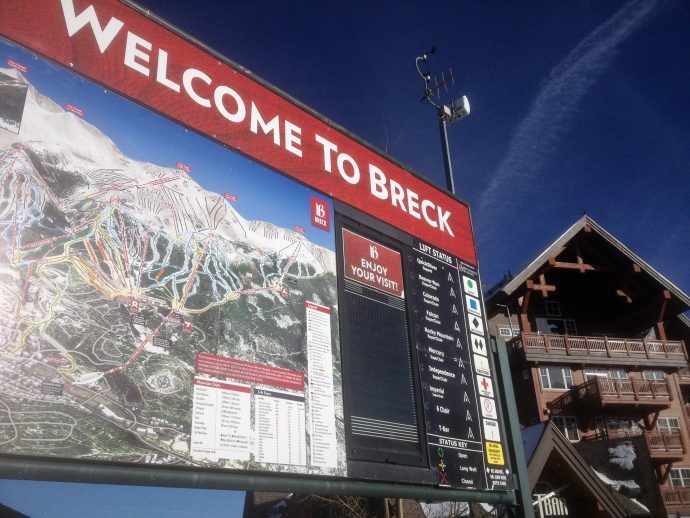 The following weekend, on April 2, the Breck Chili Cook-off begins at 11 a.m. at Sevens, the restaurant at the base of Peak 7 (accessed by the free BreckConnect Gondola from town and Peak 8).On April 23, Closing Day ceremonies will include a big celebration at the base of Peak 8 with live music, food and drinks. Hang out and watch people crash in the Breck Plunge pond skim event. Or just grab a few slices of pizza and a cocktail and go for one more soaking session under the stars. This statue of F.O. Stanley was erected in fall, 2016. 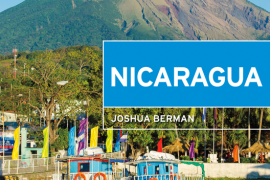 Joshua Berman is a freelance writer and travel expert. In addition to his monthly column, “Around Colorado,” Joshua is the author of six books about travel. His most recent is Moon Colorado Camping: The Complete Guide to Tent and RV Camping. Joshua also works as a K-12 Spanish teacher in Boulder, where he lives with his wife and three daughters.